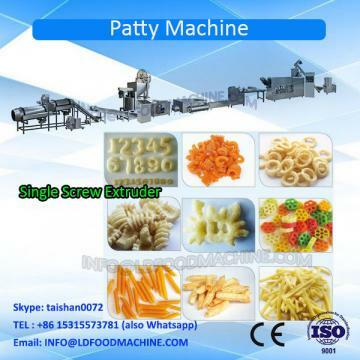 This Production Line uses potato starch, potato flour, corn starch, corn powder, wheat flour, cassava starch etc as main materials, by the process of mixing, extruding, shaping and drying to produce dried double layer 3D pellets. After changing cutting roller on Shaping machinery, this line can produce many innovative shapes, like Triangle, Oval, Racket, Hexagonal (Sixer), Recle, Christmas tree, Animal, Zig Zag, Heart etc. After frying, the pellet will expand to several times, LDing some seasoning powder will make them much crisp and savory. This line is characterized by unique technique, rational configuration, high automation and stable performance.